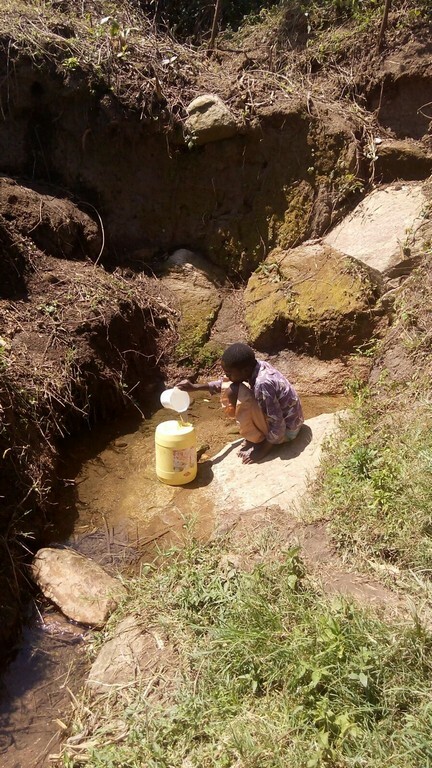 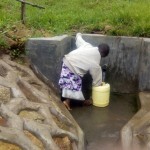 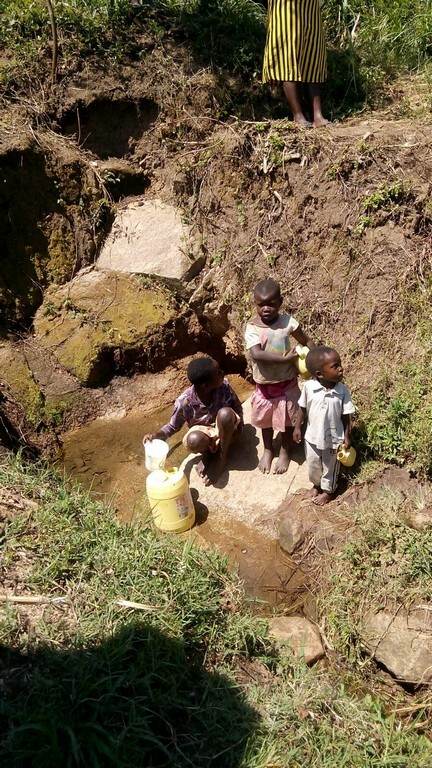 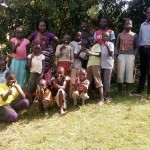 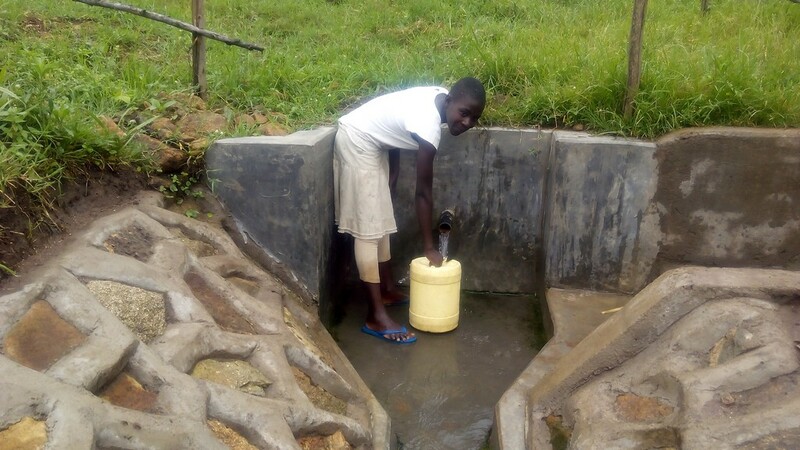 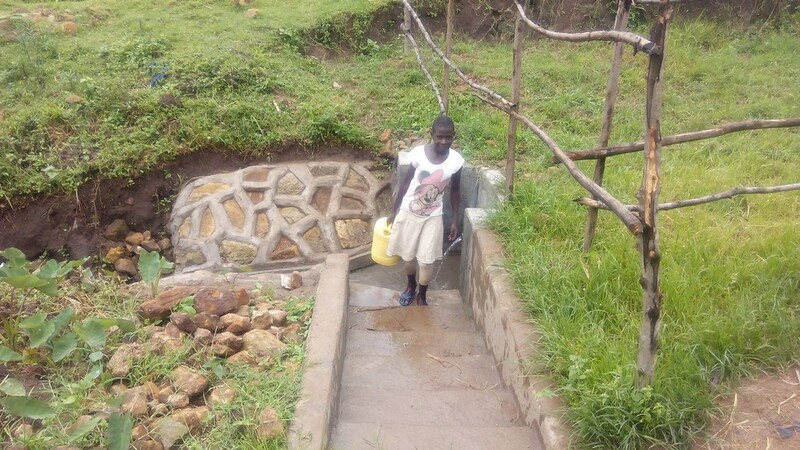 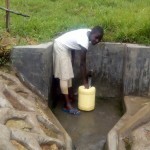 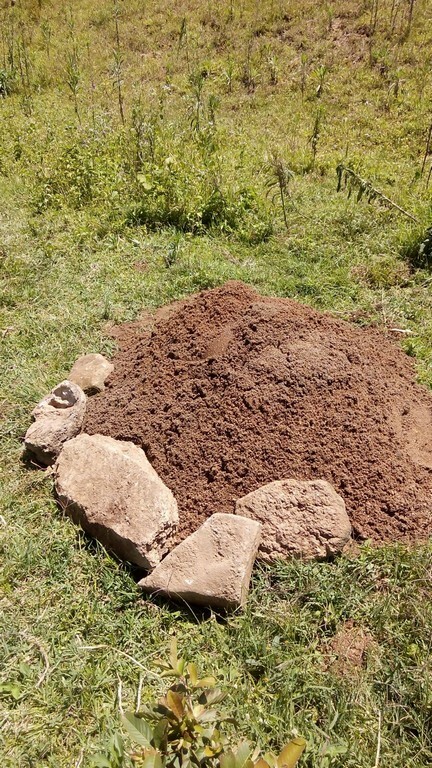 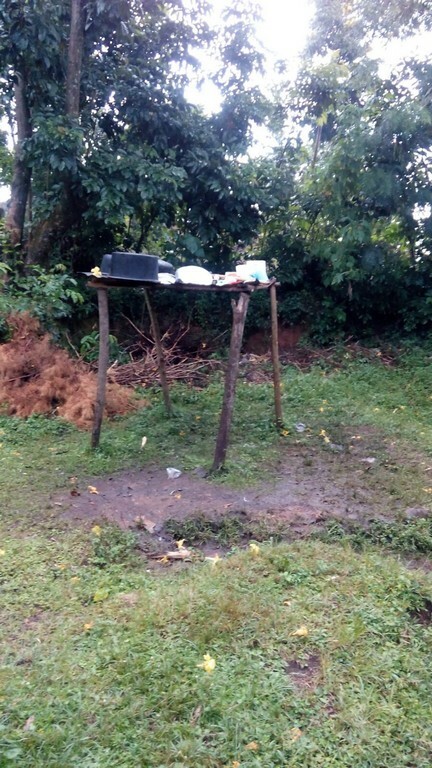 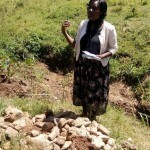 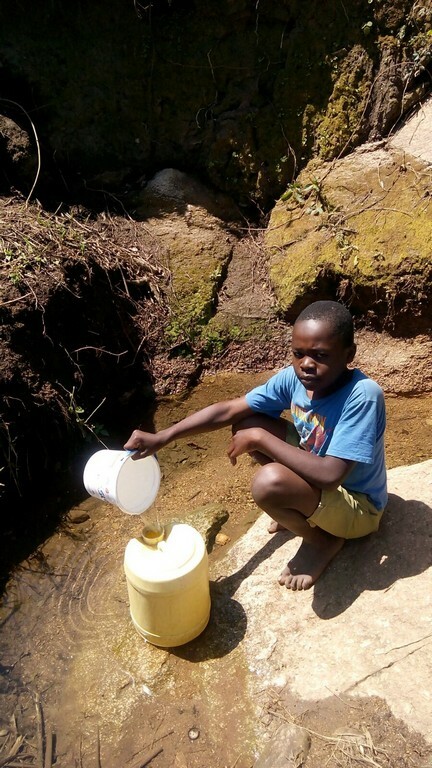 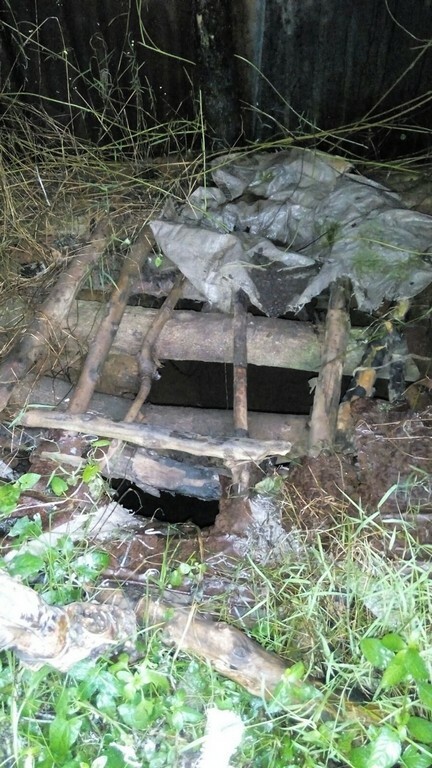 This unprotected spring is located in Mundoli Village off the Kakamega-Mumias highway in Shiyunzu sub-location, Central Butsotso location, Lurambi Division of Kakamega Central, Lurambi Constituency of Kakamega County. 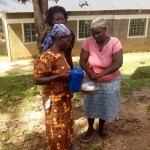 The spring serves a total of 250 people from 20 households. Since the community has no other water source, they used the Mundoli spring for drinking, cooking, and watering animals. 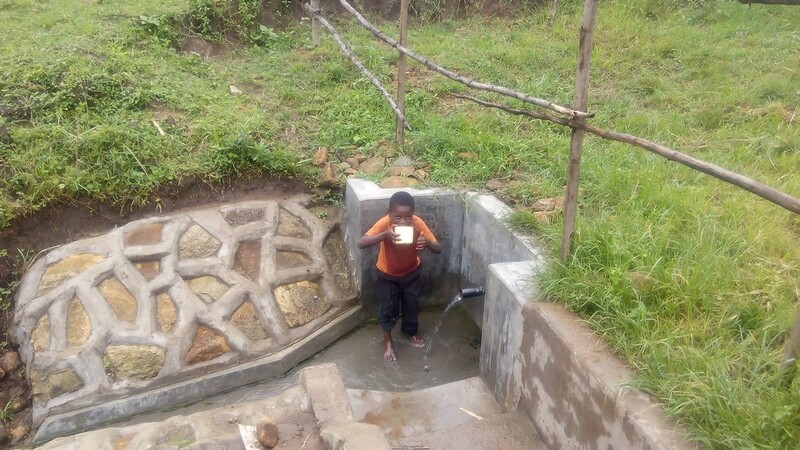 Mundoli spring is located at the lower edge of a farm, so is subject to the farm’s run-off. 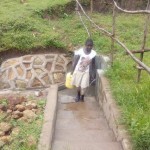 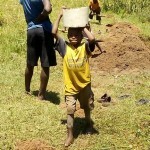 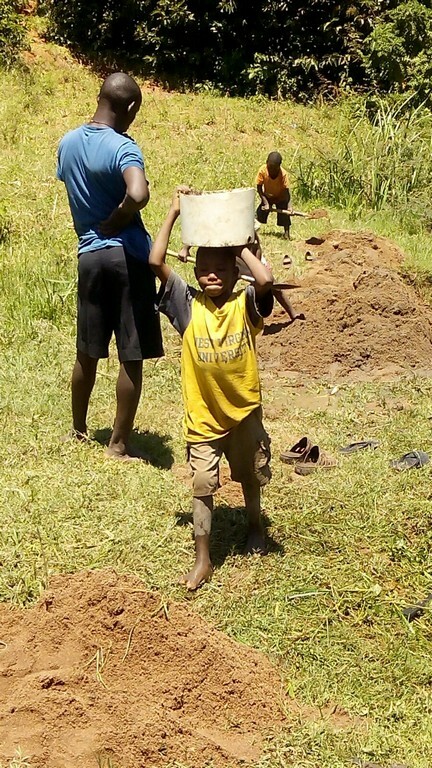 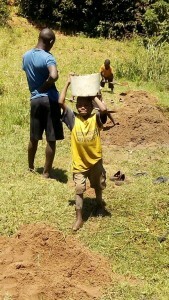 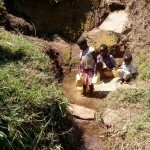 As seen in the photos, young children must step into the spring to retrieve water. 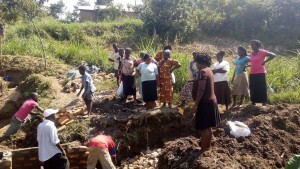 The banks are not fortified and are subject to erosion. 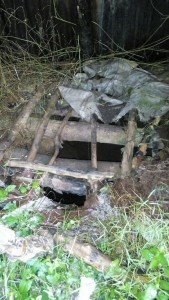 This crumbling dirt both blocks and contaminates the spring’s running water. 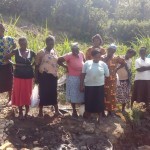 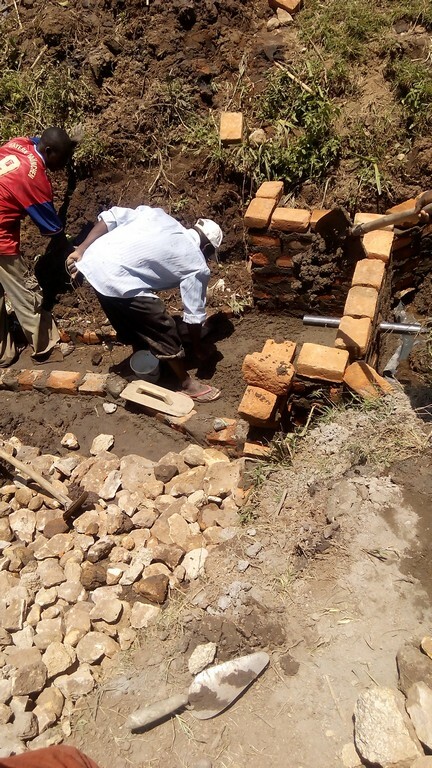 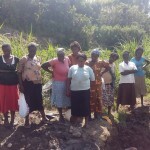 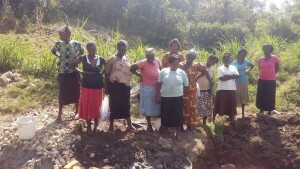 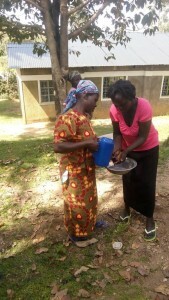 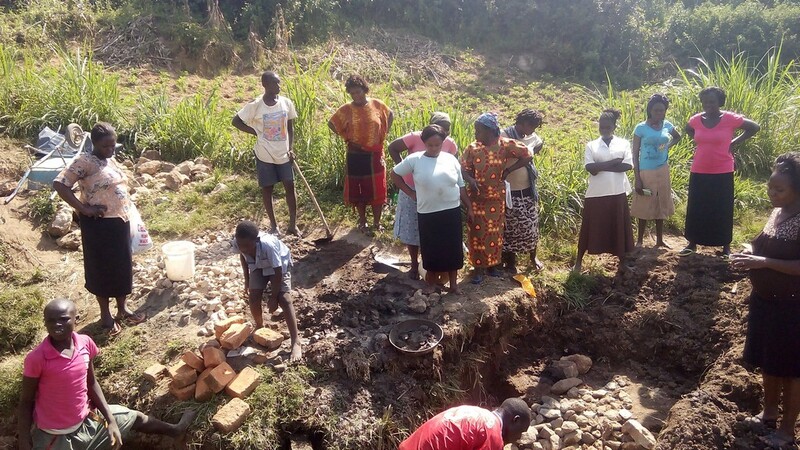 “After heavy rains we cannot access water from this spring due to blockage by silt and we have to remove the soil and wait for one full day for the water to clear,” says a community member named Sarah. 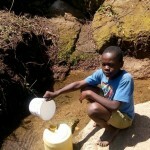 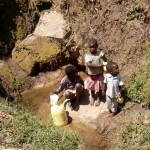 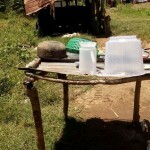 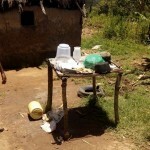 Those in the community often suffer from typhoid and diarrhea after consuming unprotected spring water. 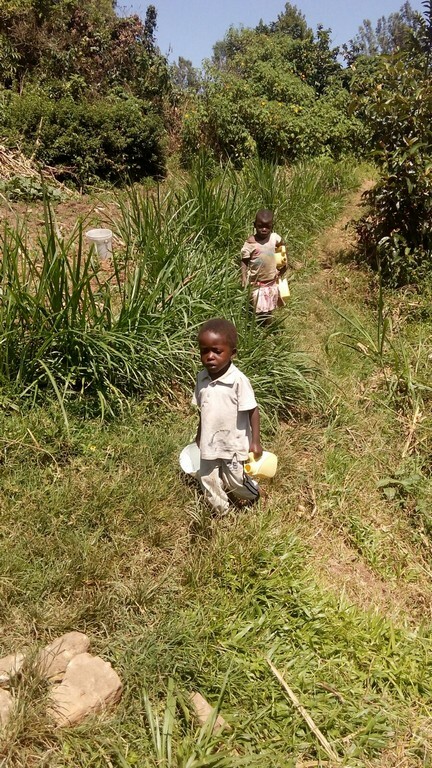 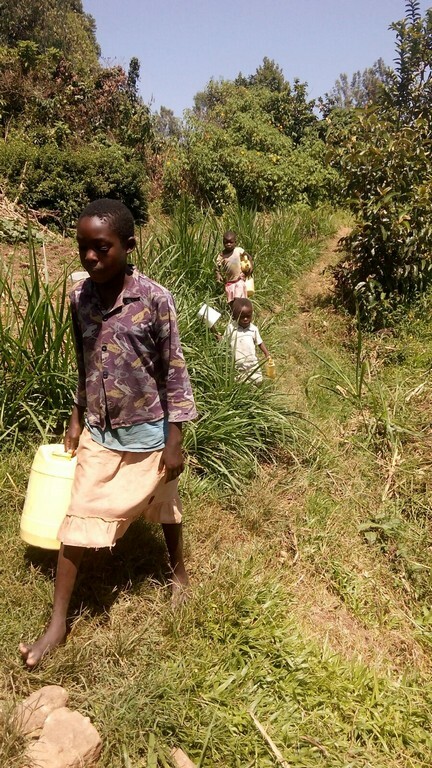 Having no other source of clean water within 3 km, many children face dangers when walking long distances through the brush in search of another spring. Parents are unhappy and fearful to send their children on this trek; cases of kidnapping in this community have been on the rise. 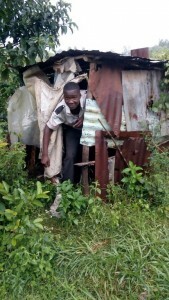 There is also poor access to sanitation facilities. 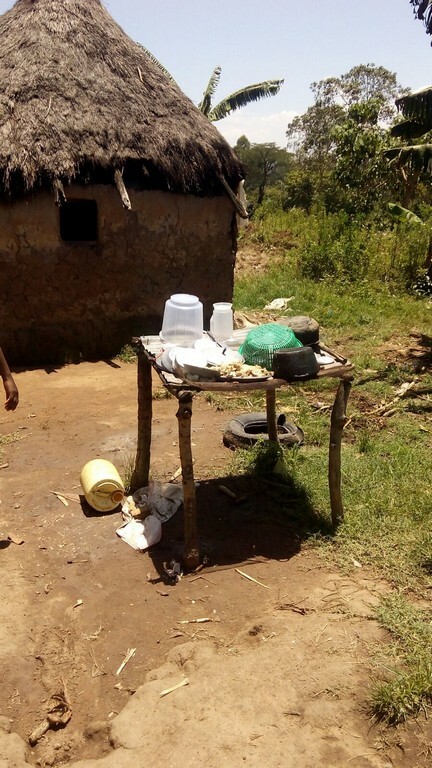 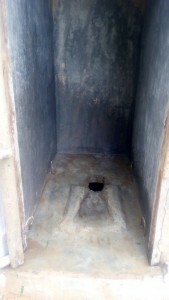 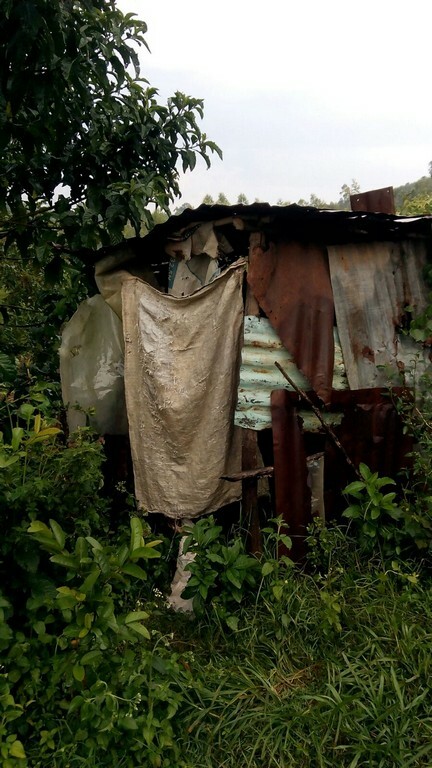 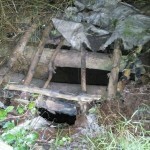 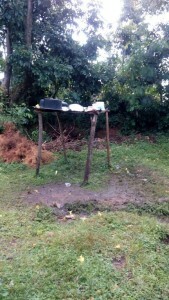 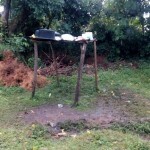 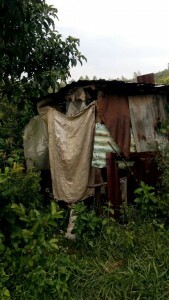 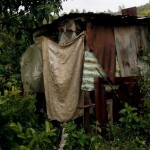 Any latrines in the community are already old and falling apart, posing a danger to both young and old. 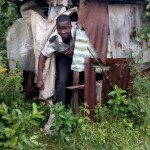 Thus, some community members must look for other places to use the bathroom, such as bushes or the shade of buildings. 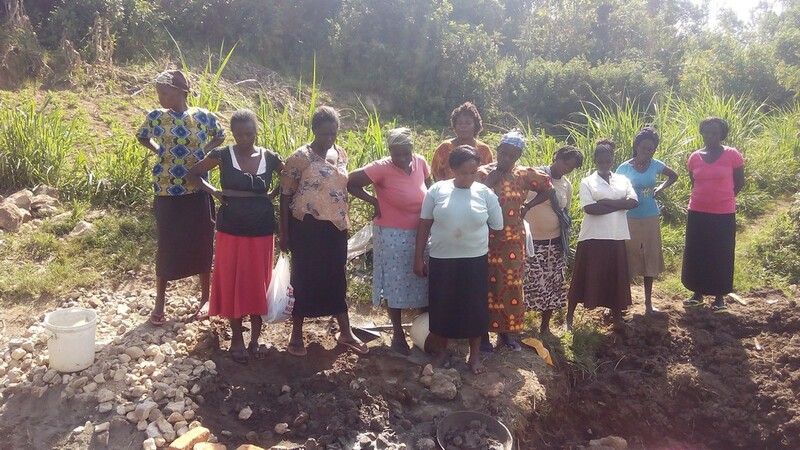 Women suffer the most from this problem, and are strongly appealing to WEWASAFO and TWP for help building new facilities. 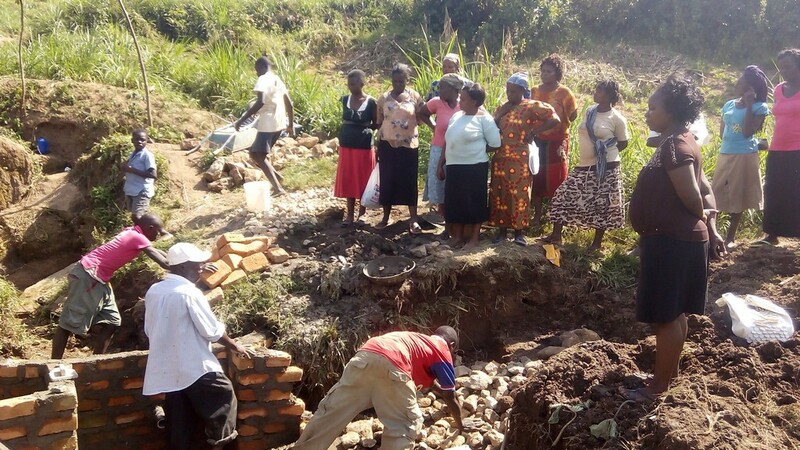 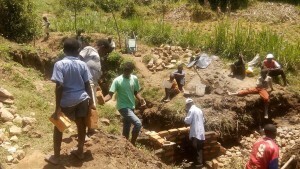 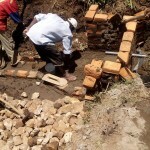 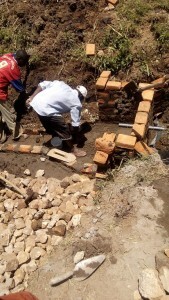 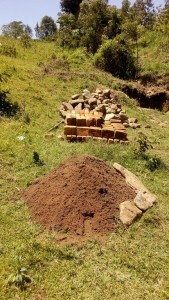 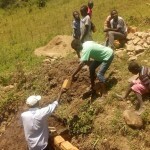 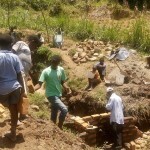 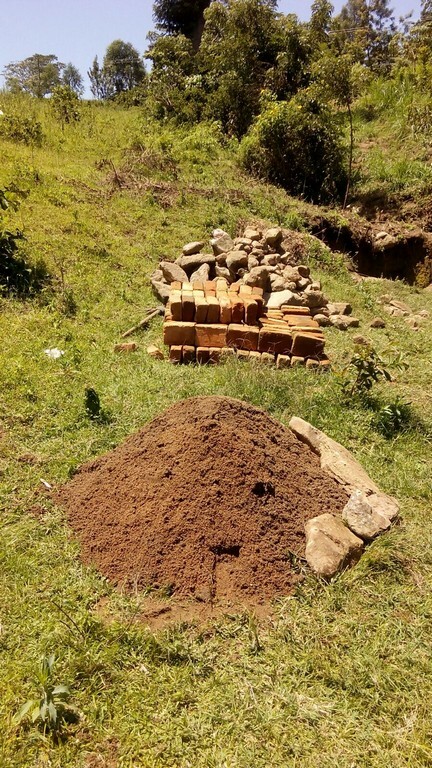 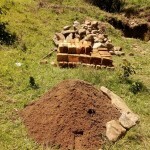 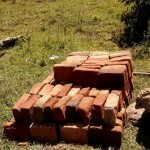 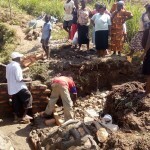 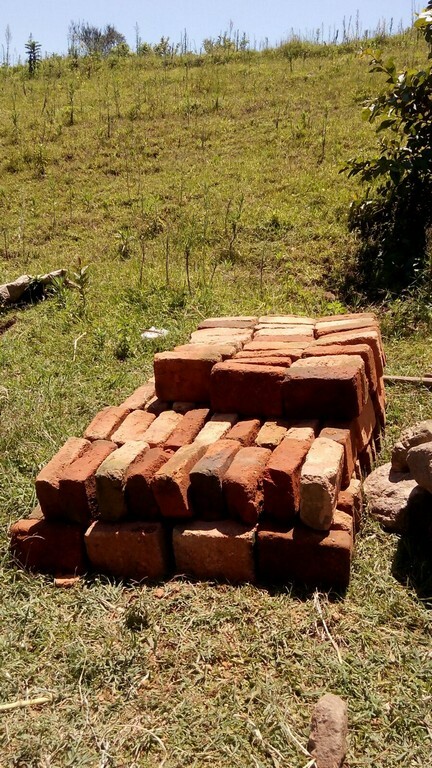 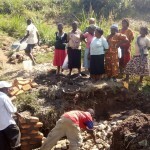 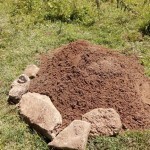 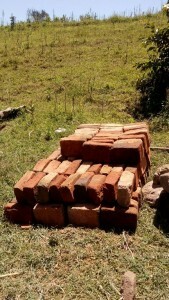 The people of Mundoli Village have already begun assembling materials for this project. 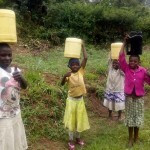 The excitement the small children have about accessing safe water is evident. 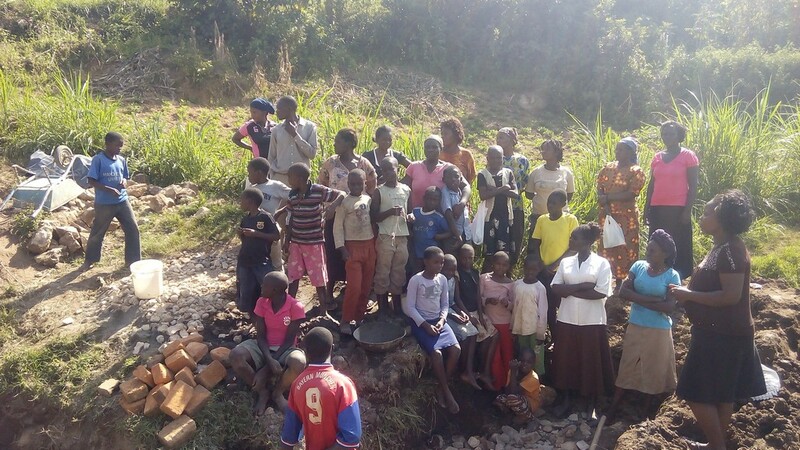 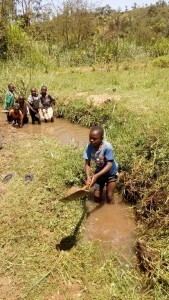 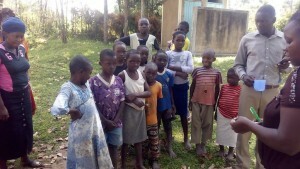 These children have suffered for so long from waterborne sicknesses that when they heard WEWASAFO could come help, they quickly started gathering the needed sand from a nearby river. 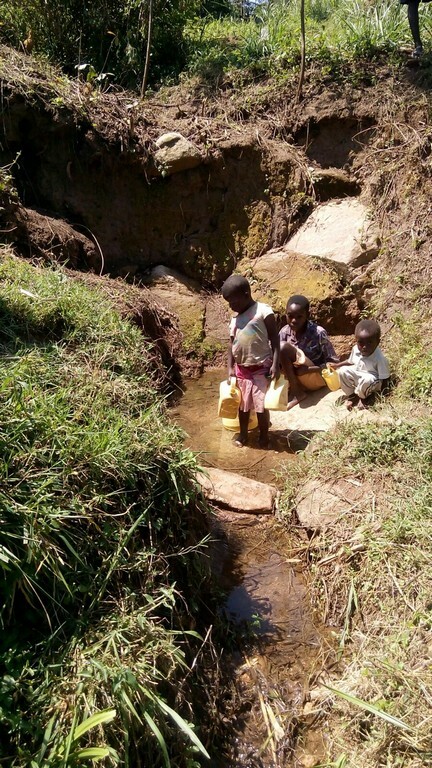 The community is appealing to WEWASAFO and The Water Project to consider protecting this spring for a healthier community. 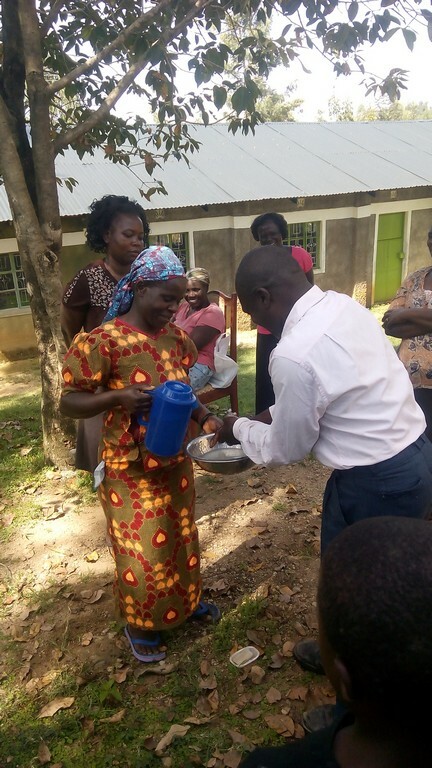 The Water Sanitation Management Committee (WSMC) training was conducted from September 29th to 30th. 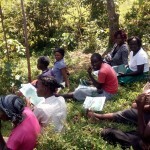 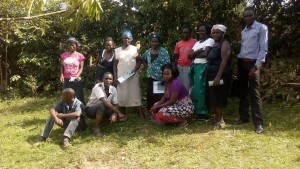 The training was attended by a total of 26 community members, out of which four were male and 22 were female. 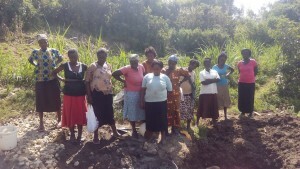 The land owner’s wife apologized for the men’s low turnout, saying that most men had to work. 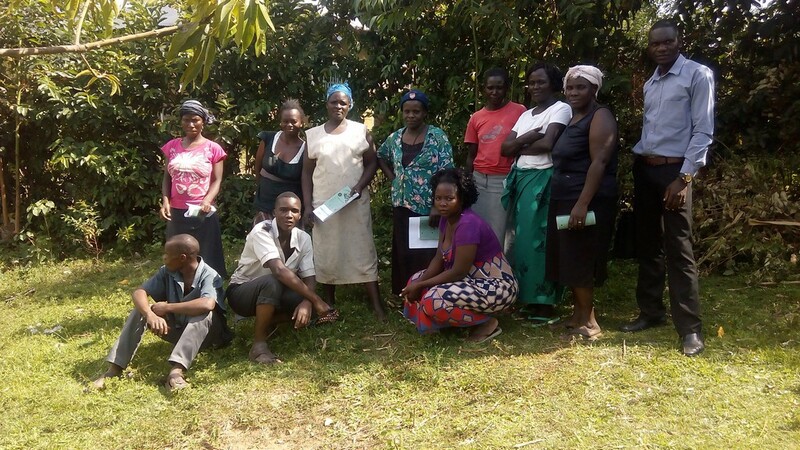 The training’s purpose was to equip these new committee members with the necessary skills for managing and maintaining Mundoli spring. 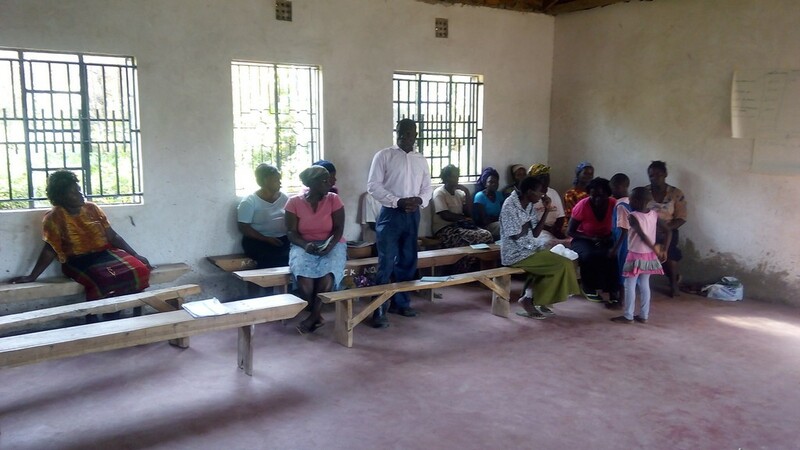 Though WEWASAFO’s director was not present, the training facilitator assured participants that he would visit the village in the near future. Participants decided dates to being the above activities, all spanning the month of October. 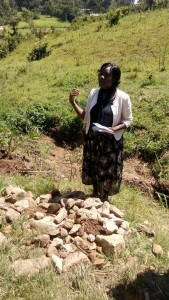 The committee also learned about what they can do to prevent contamination once home. 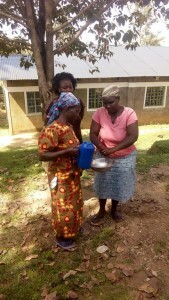 They can treat water with Water Guard or by boiling, wash food, cover cooked food, and wash hands before cooking and eating. 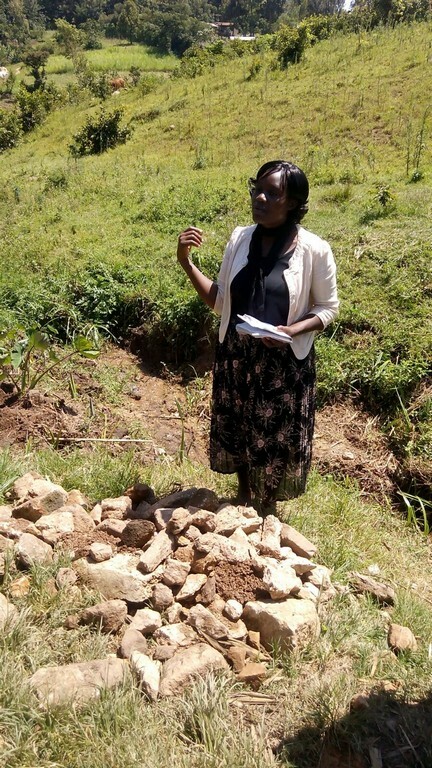 The WSMC chairwoman was very grateful for all the information and support supplied by the organization, and promised to use this knowledge to maintain Mundoli spring. 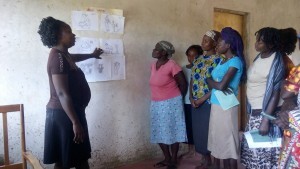 This training was held from October 1st through the 2nd. Another 26 people attended, 22 women and four men. 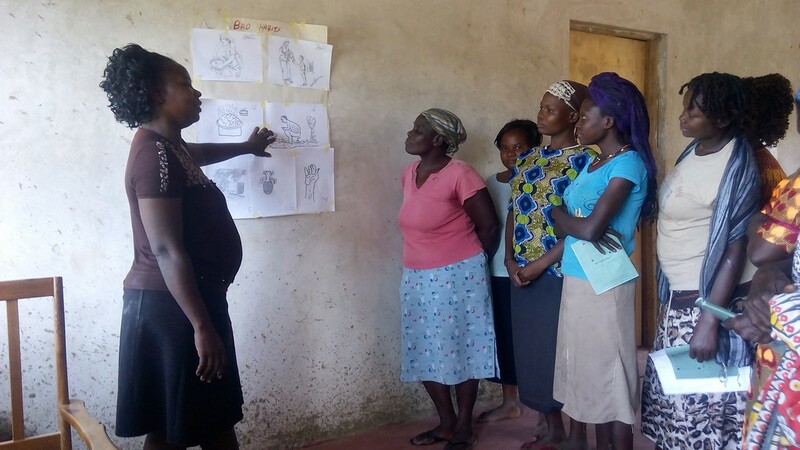 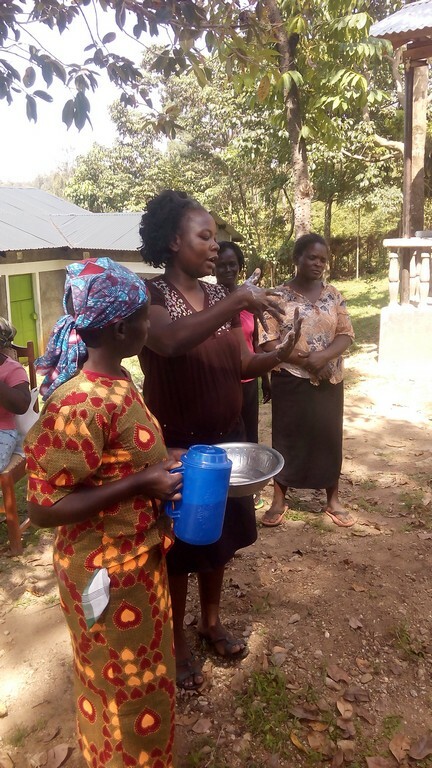 The facilitator used the Participatory Hygiene and Sanitation Transformation (PHAST) and Community-Led Total Sanitation (CLTS) approaches to train the participants about healthy behaviors. 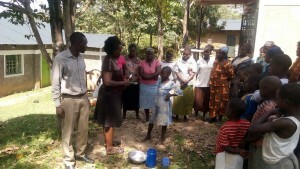 The facilitator made two groups wherein participants discussed current unhealthy practices in the community that could be leading to contamination. Images of food, someone cooking, someone using the bathroom improperly, a fly, and hands elicited ideas about how many things are connected when it comes to health and sickness. One agent transmits germs to the next, furthering outbreaks of diarrhea and other stomach problems in the community. 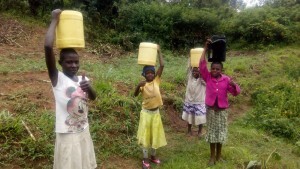 It even matters how water is carried home from the source; whether or not the jug is covered, if it is shared along the way, etc. 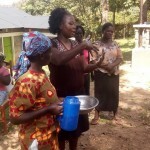 The community health workers also observed how the facilitator brushes their teeth and washes their hands. 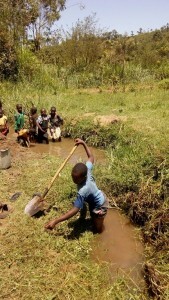 They even had a chance to practice this themselves, as seen in the pictures below. 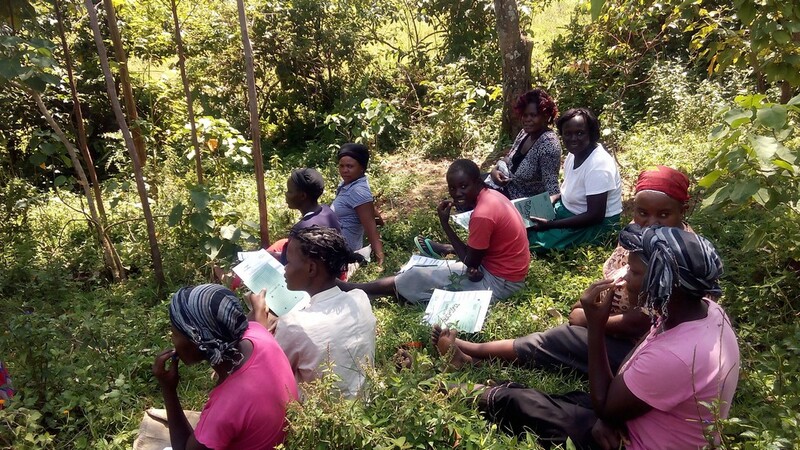 Participants appreciated the training content and said they learned a lot about how to promote good hygiene and maintain the spring. Women and youth said they particularly benefited from this new information, and promised to educate others in the community. 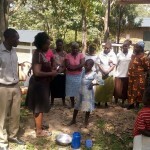 They were thankful for good food, fellowship, and chances to ask questions about how to develop their village. 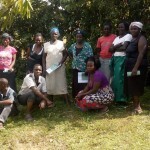 The community requests that WEWASAFO return again to bring them more programs and training. 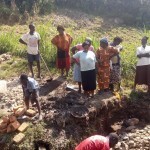 Protection of Mundoli Spring is complete and now in use by community members. They are very happy that they safe water to use for drinking, cooking, and domestic chores. 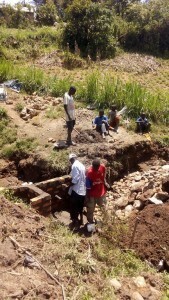 The spring is no longer open to runoff contamination. The water catchment area and its spout have made the spring much more accessible for young children. They descend the steps and retrieve water straight from the spout as opposed to having to step into the water itself. 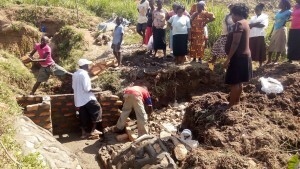 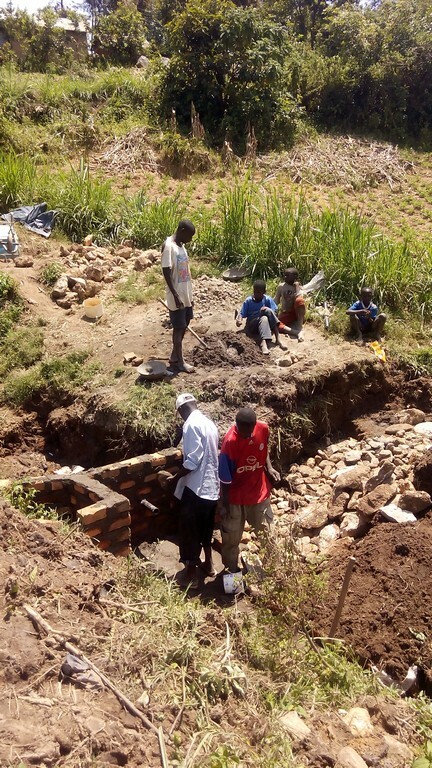 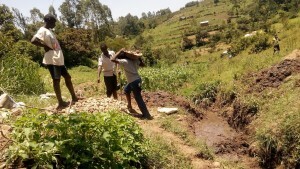 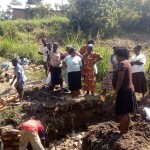 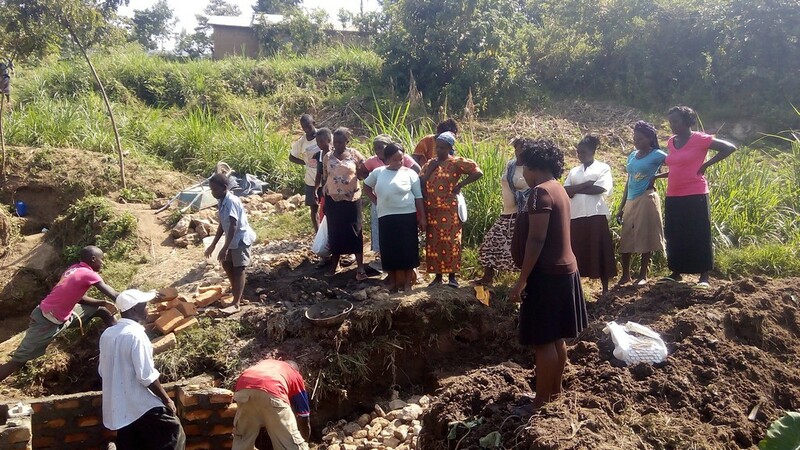 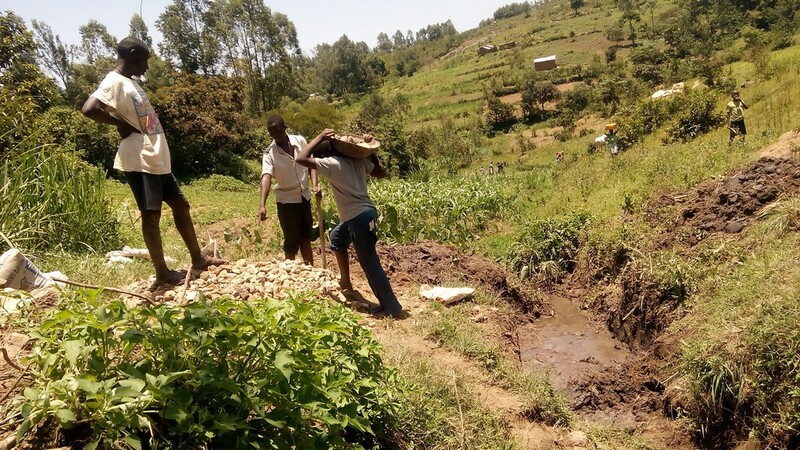 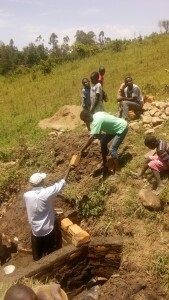 The community also dug drainage so that the water is clear even after a large rainfall; they previously had to remove silt that was stirred up after a storm, and then wait at least a full day. 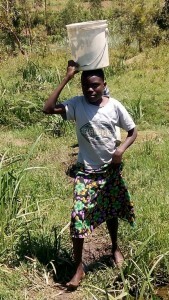 Sarah, one of many mothers in Mundoli Village, is very happy now. She no longer has to spend hours in search of safe drinking water for her family. 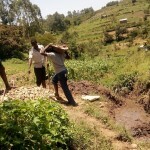 She can instead spend that saved time with her family, doing more productive, economical activities. 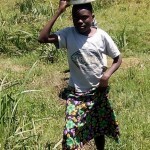 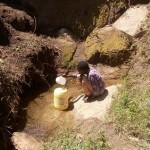 Nor does she have to fear sending her children to fetch water. 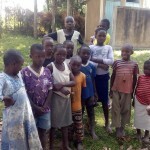 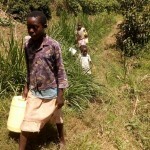 Before, children had to trek long distances to search for water and thus risked abduction. 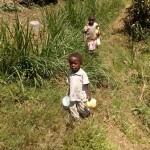 Now they are sent straight to Mundoli Spring! 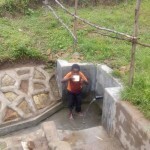 Sanitation platforms have been installed for five homesteads and are now in use by their families. 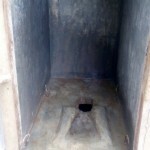 This will greatly reduce the level of open defecation that was once an obvious issue. 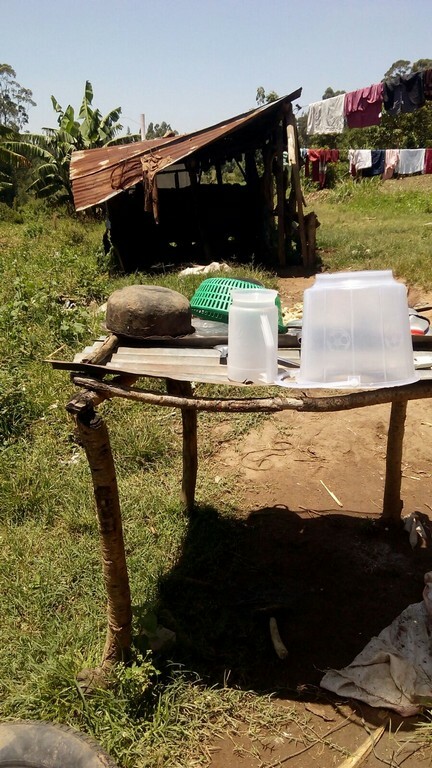 These concrete platforms are much stronger, safer, and cleaner. 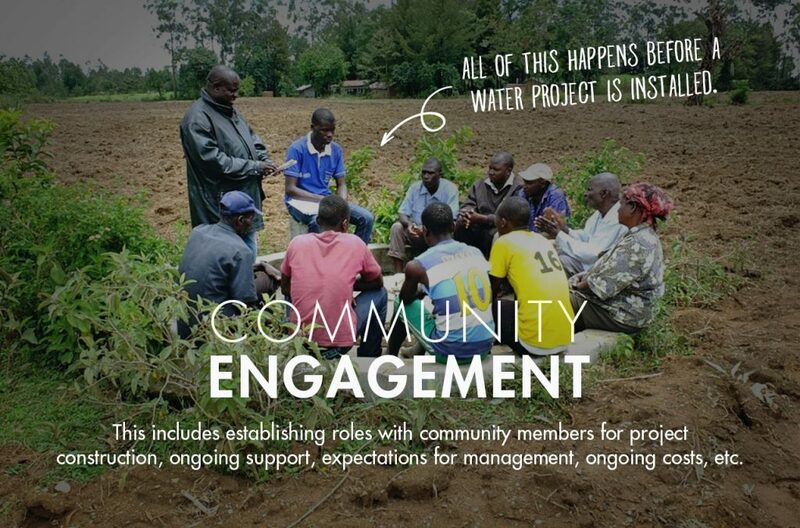 Thank You for making this project possible. 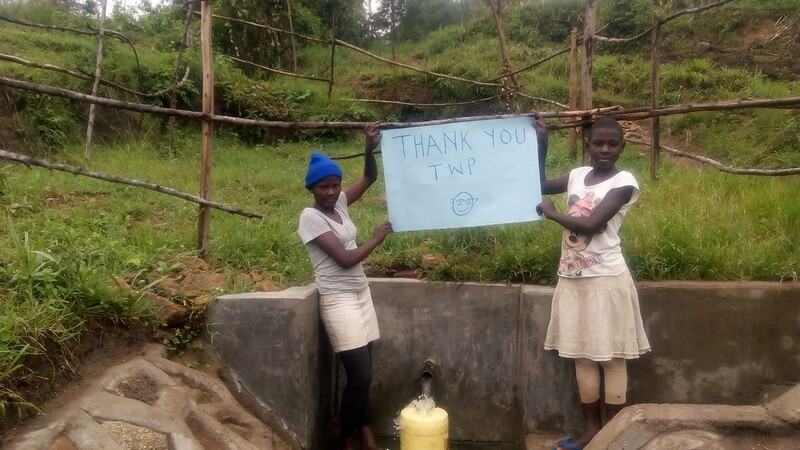 We couldn’t have done it without you! 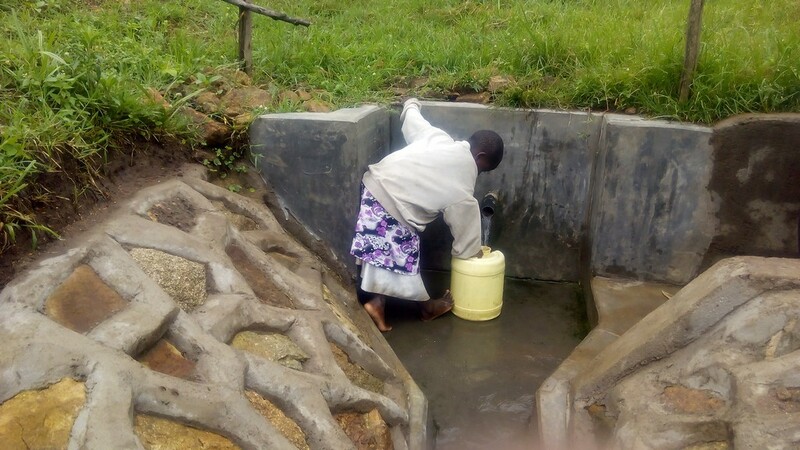 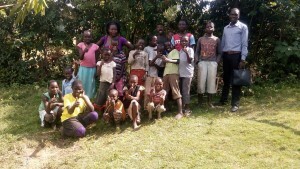 We are excited to report that, thanks to your willingness to help, the community surrounding Mundoli Spring in Kenya has a source of clean water. 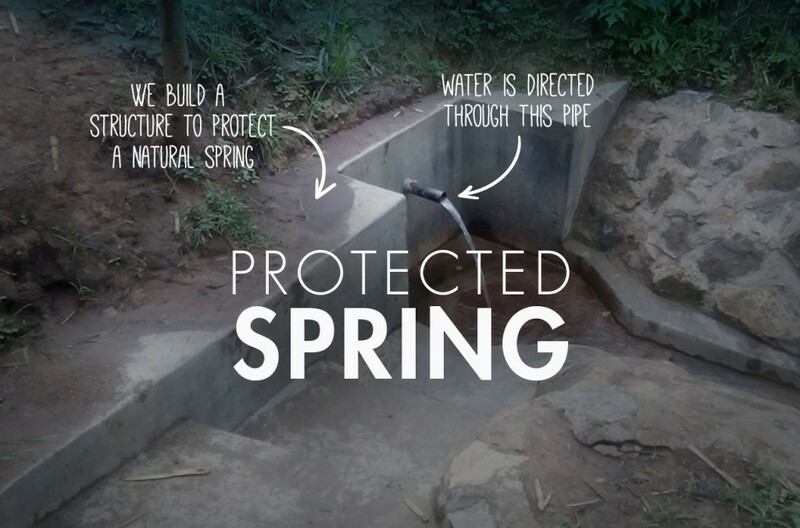 The spring has been protected from contamination caused by surface run-off and animals, keeping the water safe to drink and use. 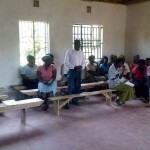 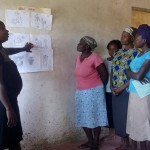 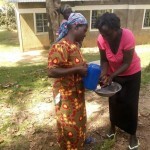 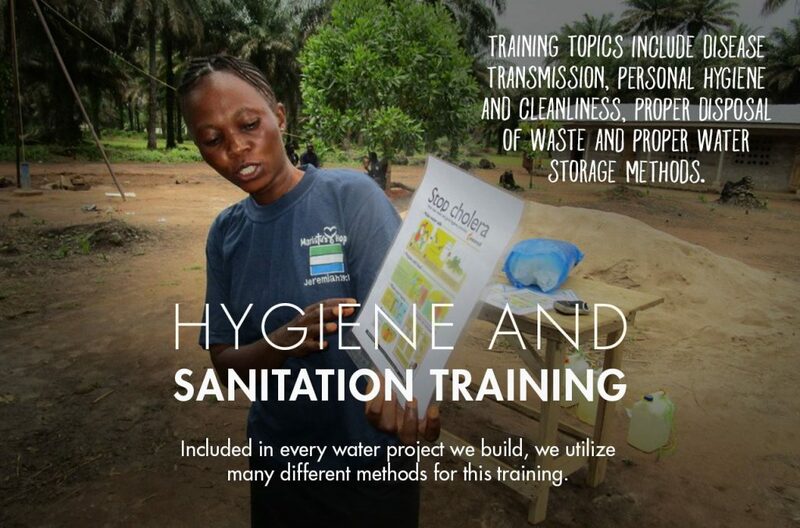 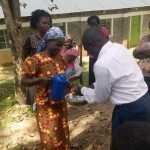 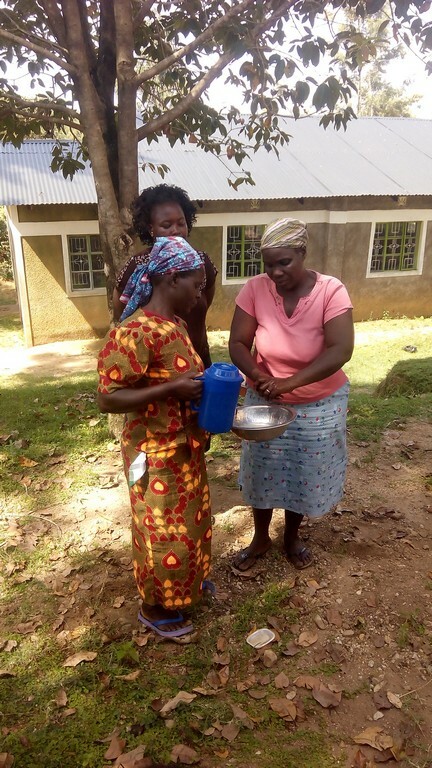 The community has also received training in sanitation and hygiene practices. 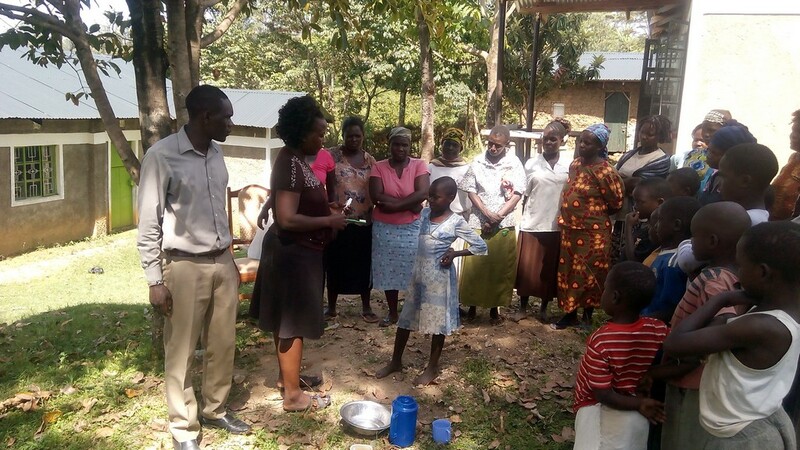 Together these resources will go a long way towards stopping the spread of disease in the area. 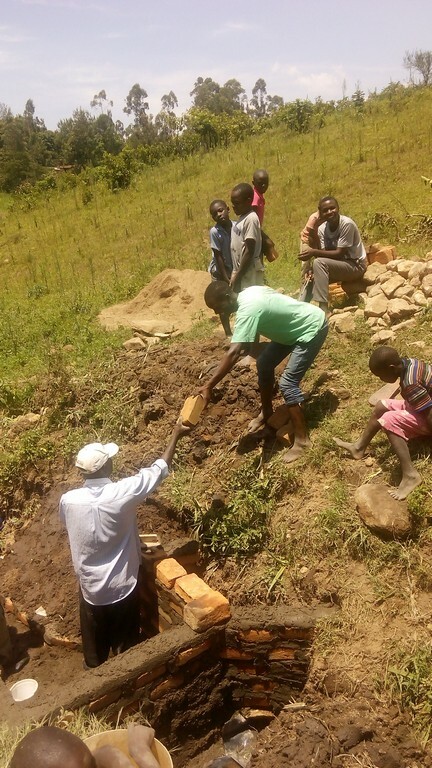 We just posted a report from our partner including more information about the community as well as pictures of training, construction, and the finished project. 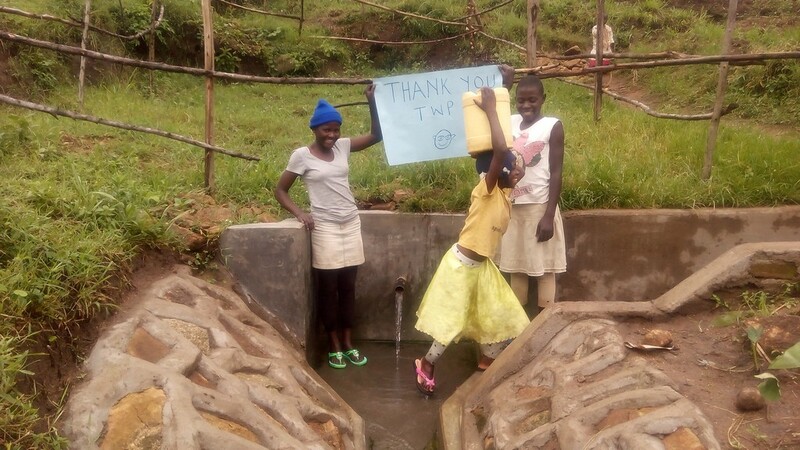 Please take a moment to see all that you made possible. 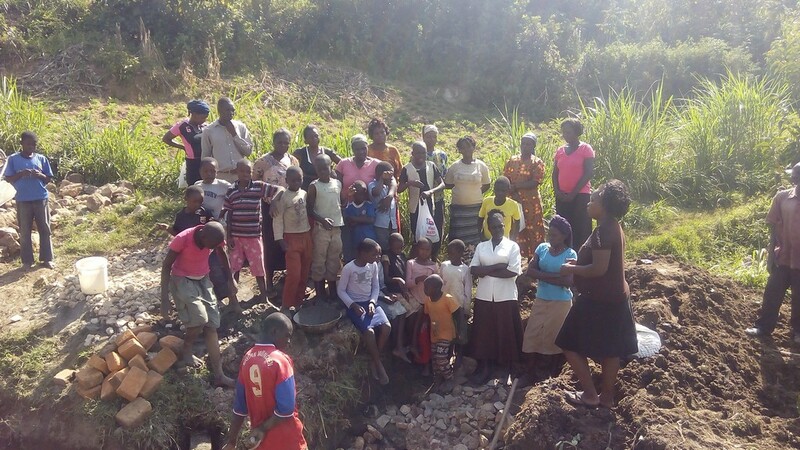 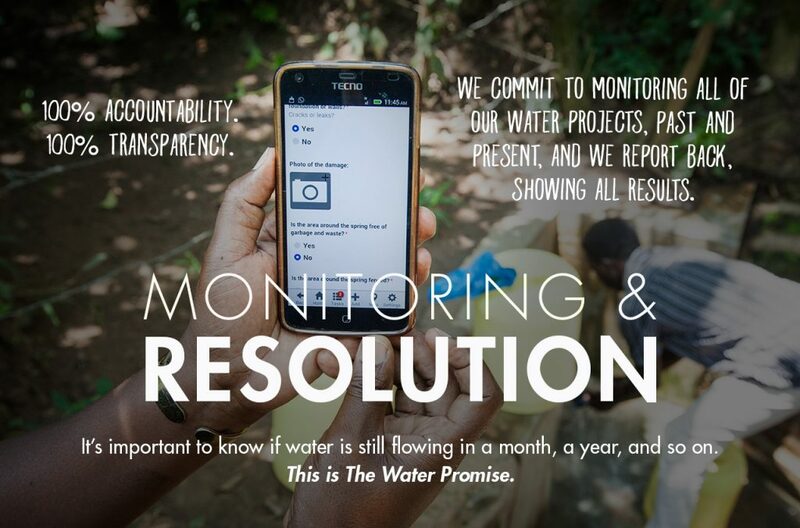 The Water Project and community of Mundoli Spring Thank You for unlocking hope and joy this holiday season! 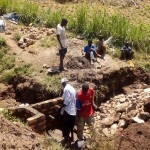 We are excited to inform you that work is being done at Mundoli spring. This construction around the spring draws eager onlookers. 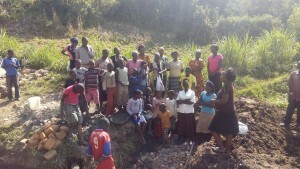 Community members have seized the opportunity to learn about good sanitation practices, and even formed a committee tasked with managing and maintaining the spring. 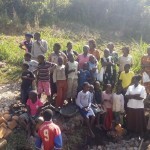 Please take time to read the report that shares community information, training summaries, GPS coordinates, and pictures. 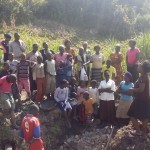 The Water Project and people of Mundoli Village Thank You for your generous help in making this opportunity a reality.